One of the most dreaded dental procedures for adults is a tooth extraction. Every person only receives one set of permanent teeth, which means when a permanent tooth is extracted it will not replace itself. Tooth extractions involve the removal of a tooth from its socket in the jawbone. If a tooth has become too damaged or too unhealthy that it is more beneficial to live without it than it is to live with it, a tooth extraction is necessary. If you need a tooth extraction here in the Fort Mill area, you can put your full confidence in Gold Hill Dentistry. We can remove a tooth to eliminate your pain and to prevent damage to the existing teeth and gums. Any type of infection or disease can easily spread to the neighboring teeth and gums, so when the health of a tooth is beyond repair it is imperative that a tooth be extracted in order to protect your entire mouth. Our office is fully equipped with amenities to make dental care a positive experience. We offer sedation dentistry for those who need an extra measure of comfort and ability to relax. Gold Hill Dentistry is where Fort Mill, Rock Hill, and South Charlotte residents turn to for painless tooth extractions. Our qualified and experienced dentist, Dr. Kavi Sagunarthy, and staff provide exceptional and comfortable comprehensive dental care to patients of all ages. Contact us today. Could Veneers Help You Avoid Braces? What Happens When You Clench Your Teeth? Can Your Dentist Help Improve Your Sleep? The staff at Gold Hill Dentistry is wonderful. They are polite, professional and helpful I have a history of working as both a dental assistant and hygienist in another state. I’m extremely particular when it comes to my dental care. My daughter recommended Gold Hill. I am very pleased with my dental care. I highly recommend the practice. The entire staff at Gold Hill Family Dentistry are professional, friendly, and very good at what they do. I’ve made numerous recommendations to family and friends. Very happy with the dental work they do. Scheduling, insurance processing, and follow up are always first class. Dr Kavi is the man. I highly recommend this dental practice. The staff are gracious, helpful, courteous and accommodating. Dr. Sagunarthy is a wonderful dentist. This is from someone who has always suffered with dental and gum issues. He is current on dental information, kind, gentle and professional! I am so happy to have found this practice! Dr. Sagunarthy is one of if not the best dentist I ever went to. He recently replaced a crown that was botched by another dentist and the procedure was done perfectly and painlessly. 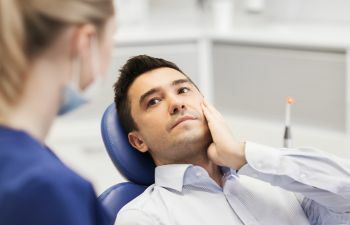 I first went to Gold Hill Dentistry for a second opinion on four crowns and maybe a root canal I needed asap from another dentist in Fort Mill. As it turned out I needed the crown replacement and only one other at a later date. That’s about $6000.00 I saved leaving this OTHER FORT MILL DENTIST. In addition to this wonderful dentist, the total staff is outstanding. Awesome dentist. Everyone was nice and professional. Very thorough job cleaning my teeth. Lots of great conversations. Staff made an uncomfortable place for me very comfortable. Thank you. Very professional and caring staff. Highly recommend the service, they take personal care with all patience. I have experienced some of the best Hygienist. Great staff. Very knowledgeable and friendly. Would heartily recommend as they have been taking care of my family for years. I have dental anxiety. I dreaded locating a dentist after recently moving to the area. I had gone to another dentist in the area but quickly changed to Gold Hill Denistry. Dr. Sagarnathy and staff are always kind, gentle and concerned with my well being. They also do a really good dental work. Other than routine work, I have had an implant, and chipped tooth repaired, all are doing well. Dr. Kavi Sagunarthy and the staff at Gold Hill Dentistry are committed to providing the best complete dental care for their patients. I'm thankful to have found them years ago and have enjoyed their patient focused attention to detail. The office is very nice and comfortable, providing a great experience for all. I would highly recommend Gold Hill Dentistry for your dental needs. Everyone there is cordial and professional! Dr. S has fixed problems for me that other dentists could not fix, even after several tries. 5stars! Gold Hill Dentistry provides dental care to patients coming from Fort Mill, Rock Hill, South Charlotte, Ballantyne, Indian Land, Steele Creek, and the surrounding areas.